Simple moments can help the everyday to feel extraordinary. A toast, a nice dinner and a wonderful company sometimes it’s all we need. This fabulous, classic and 100% interactive dining table, perfect for indoor or outdoor places, will amaze you and your guests. 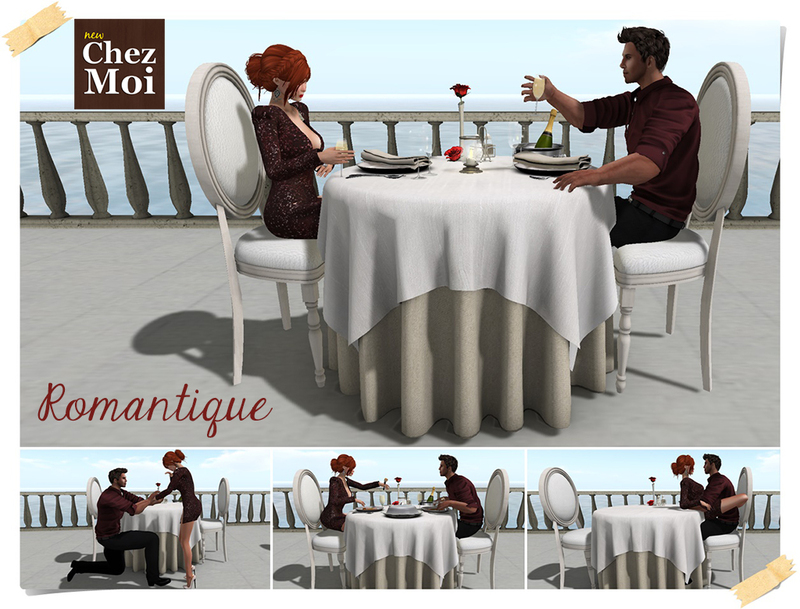 ♥ 18 individual poses, including animations eating, drinking, toasting and chatting. 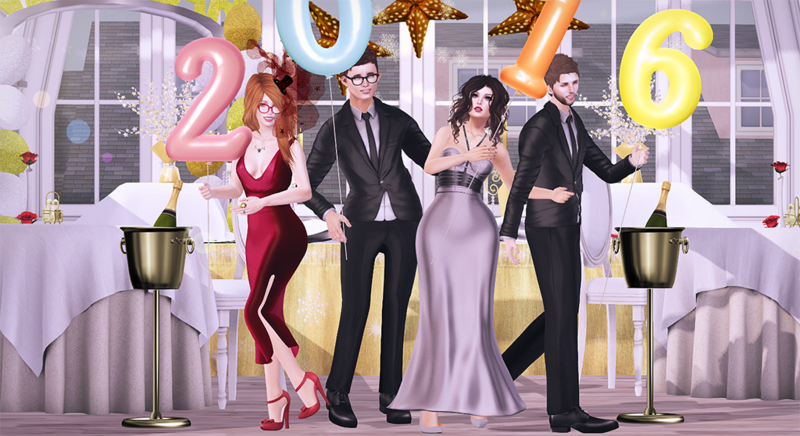 ♥ Several “wearable” props such as champagne, wine, fork, spoon among others. 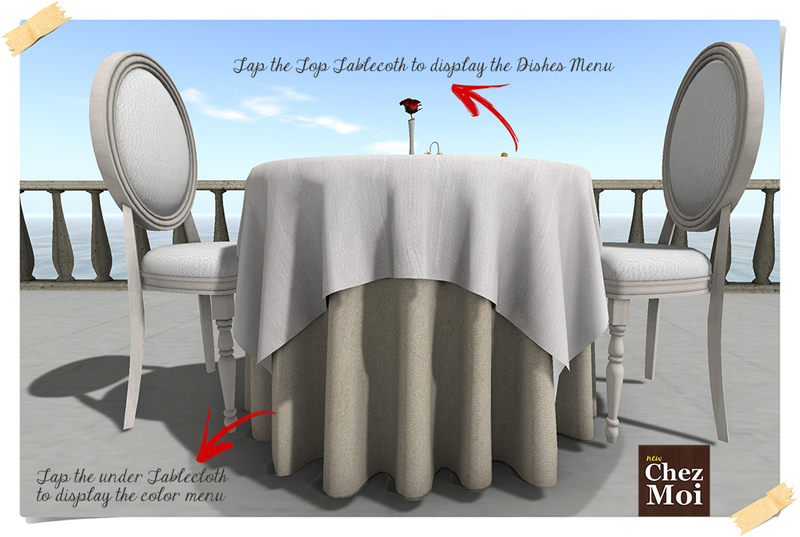 ♥ Texture-change options: Tap the tablecloth underneath to access the textures menu. 5 options to choose from. The empty table with chairs has has only 9 impacts on land. GIFT: An elegant champagne bucket only 3 LI. Tap the Champagne to access the fireworks. IMPORTANT: The set is modifiable, but changing its scale, dishes and decorations of scenes may be out of order, as well as animations. The impact on land may also increase. Available in Adult and PG version. 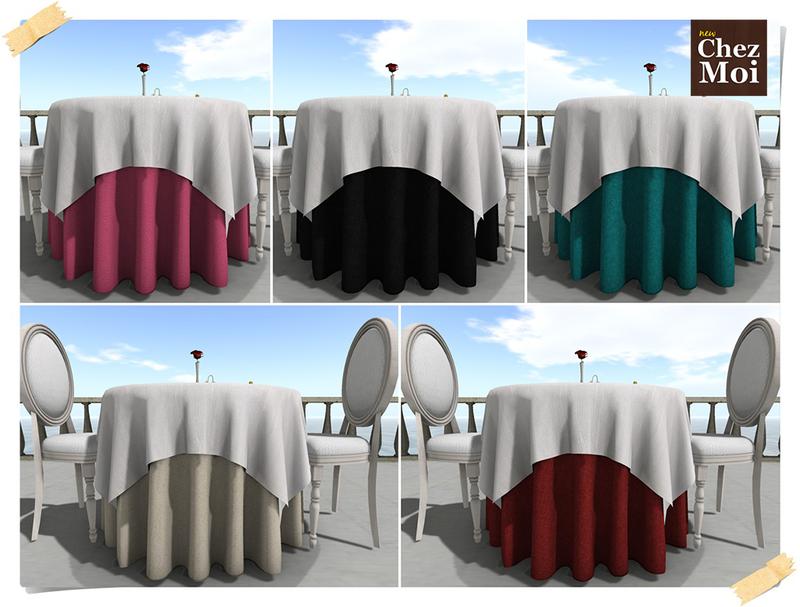 For more information CHEZ MOI MARKETPLACE, or for a closer look, visit our MAINSTORE INWORLD.